We have a slew of wide releases this weekend: family flick Beverly Hills Chihuahua, smart teen comedy Nick & Norah’s Infinite Playlist, conservative comedy An American Carol, drama Blindness, and biopic Flash of Genius. 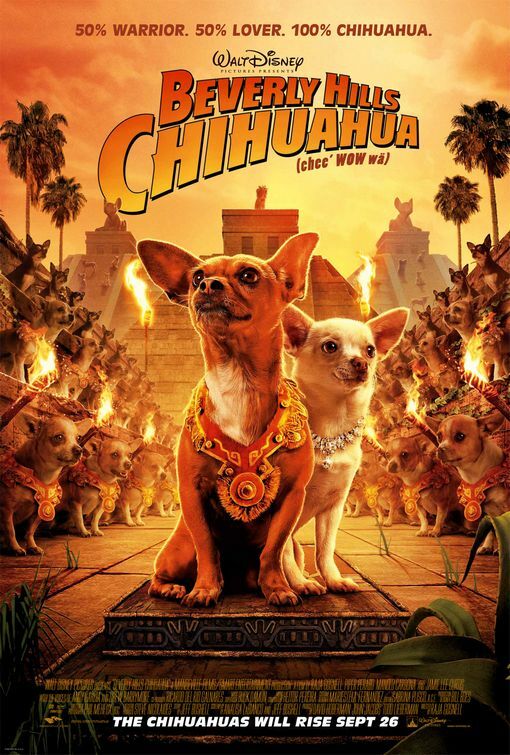 As much as it pains me to say it, it looks like Beverly Hills Chihuahua has the best shot at taking No. 1. The box office has been lacking in family films lately, and this one’s opening in more than 3,000 theatres. It’s movies like this that make me embarrassed to admit I own two chihuahuas, albeit long-haired and very anti-purse ones. After that, it’s between Nick & Norah and last week’s winner, Eagle Eye. We’ve had at least a couple of weeks with thrillers at the head of the pack, so I’m banking that the theatre-going crowd will be in the mood for lighter fare this weekend.